Chimayo Pillow . 18x18. 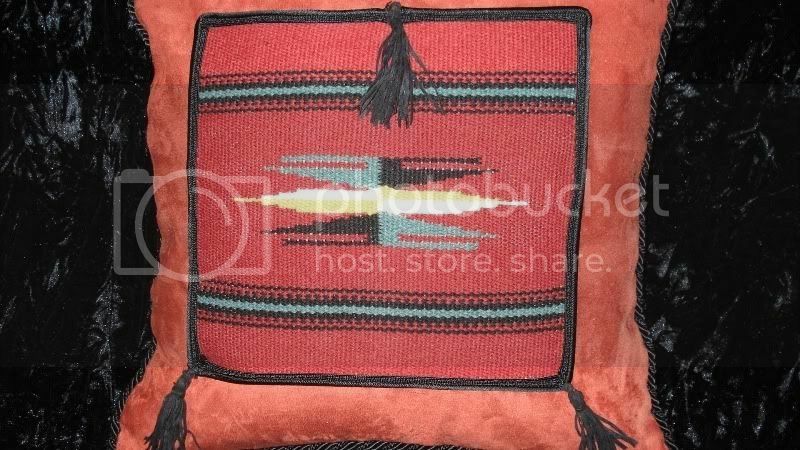 Handwoven Chimayo, New Mexico 100% wool textile inserted a-top adobe coloured faux suede. Black cording and black faux suede tassels set off the weaving beautifully and uniquely. Zipper closure. Dry clean, low moisture. Handmade in New Mexico.